* Determine their ELLs' stages of English language acquisition. * Modify assignments and assessments in different content areas for ELLs at different stages of language development. * Ensure that all ELLs participate fully in lesson activities alongside their English-fluent peers. * Communicate effectively with parents and guardians of students from diverse cultures. Real-life examples of lessons from elementary, middle, and high school that have been modified for ELLs in language arts, math, science, and social studies classes show how to effectively put the authors' recommendations into practice. A glossary of important ELL and ESL terms is included as well, for those who are new to teaching ELLs. 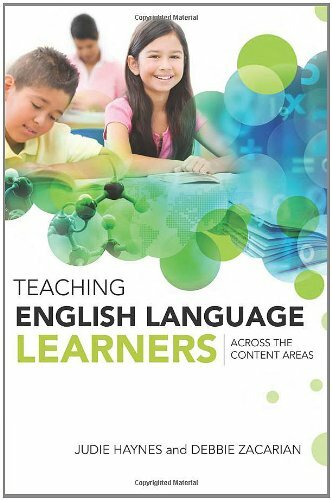 Whether novice or veteran, all teachers of ELLs will benefit from this wonderfully practical guide to ensuring that ELLs learn English by learning content and learn content while learning English. If you have any questions about this product by Brand: ASCD, contact us by completing and submitting the form below. If you are looking for a specif part number, please include it with your message.